Silent Cut Reel Mower: Cuts Zoysia Grass! The Silent Cut 21 Reel Mower: Check out one of the new additions to our site, the first reel mower we’ve sold that cuts Zoysia grass. The mower is heavy duty, built to last, and works well on thick grass and bumpy lawns. Sharpening kit and grass catcher can be added to your purchase to make your cutting job even easier! 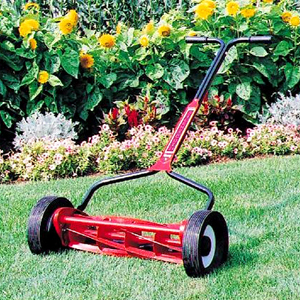 This mower includes a precision ground reel and cutter bar for the highest quality cut and a 6-blade design that allows for easy pushing. Rounded roller ends prevent lawn grooving and allow for easy turning as well. It’s never too early to start thinking about the spring, after all its only two and a half months away!